In part four of 'Revenge of Kobra,' Katana finally escapes the deadly dimension of the Soultaker, only to find herself trapped in the body of Lady Eve! Now she must save Halo and the Suicide Squad from King Kobra and his wife, the impostor Katana--even though the Squad and Halo see her as a mortal enemy! 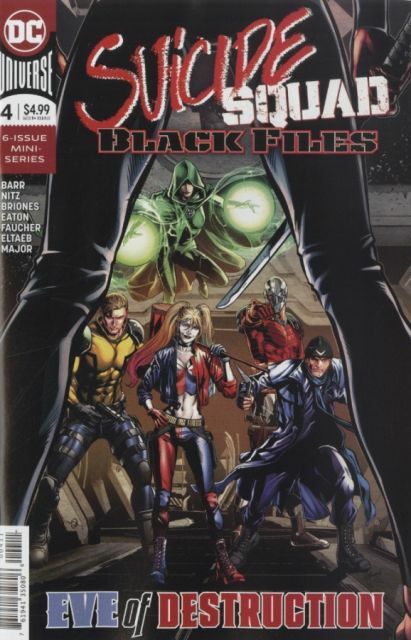 Also in this issue, the heist on Gemworld got the entire Suicide Squad Black team killed. With her new squad dead, Amanda Waller is out of magic bullets. Things go from bad to worse when Waller sends the regular Suicide Squad to catch Sebastian Faust. Can their technology possibly stand a chance against a foe whom magic couldn't defeat?